Celia Overby, program director at Exclusive Tees brought us all the joys of spring – New YAP! shirts! Nothing says spring like the arrival of a new season’s YAP! shirts! 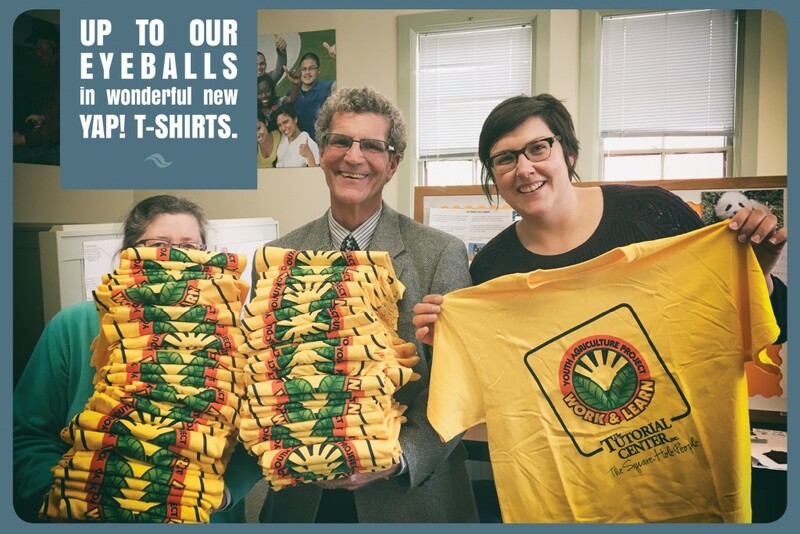 This season’s shirts are cooler than ever as they were produced by another social enterprise, Exclusive Tees, that operates out of the Springfield, MA area. Not unlike our YAP! program, Exclusive Tees provides vocational training, workplace skills, and employability programs but instead of using agriculture, they produce silk-screened products. The program is based in the Center for Human Development and gives committed youth in the residential program an enriching opportunity and valuable employment references.